A Rule to Show Cause is a court order. 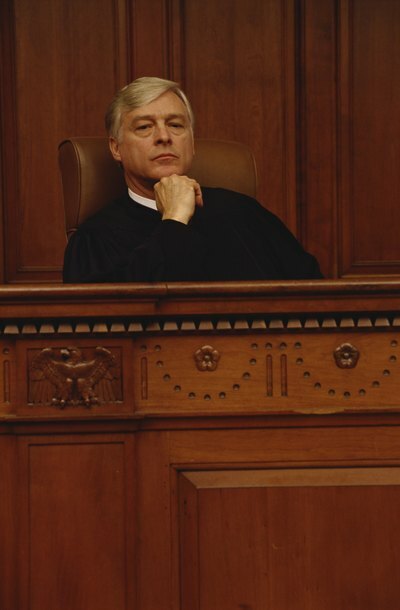 It is used to schedule a hearing so that a dispute can be heard by the court. The order notifies the other party when the hearing is scheduled, what relief you are requesting and his right to argue why the requested relief should be denied. It may also provide for temporary relief, such as the freezing of an asset, until the hearing is held. You can file a Rule to Show Cause during a divorce case to move the divorce forward, to complain that the other party isn't following a court order or to seek interim relief from the court. The exact procedure for presenting the Rule to Show Cause to a judge for signature will vary; check the rules of the specific state and county where the divorce is pending to ensure you follow the correct process. After the order is signed by the judge, you must file it with the court and serve a copy on the other party. Some states allow the parties to simply sign paperwork and never actually appear in court in an uncontested, no-fault divorce. However, in many situations, you must request a hearing to move your divorce to a conclusion. A court will require a hearing, even in a no-fault divorce, if one party opposes the divorce action in order to determine whether the legal requirements for the divorce are met. Such requirements include length of separation or number of days since the divorce action was filed and served. If the divorce action is fault-based, the court will also require a hearing because the party seeking the divorce must prove he is innocent and injured. When a hearing is needed to finish the divorce case, a Rule to Show Cause is used to notify the other party of the hearing and provide him with a chance to show why the divorce should not be granted. The most common use of a Rule to Show Cause in a divorce action is to enforce a court order. The order you need to enforce could be an interim divorce order or the final decree. To enforce an order that the other party violated, you can ask the court to issue a Rule to Show Cause. This request often must be in the form of a petition wherein you explain how the other party violated the order and attach a copy of the order that was violated. If the court finds that the order was violated, it can hold the other party in contempt of court and apply a variety of sanctions including fines, attorney's fees or jail time. The Rule to Show Cause can also be used to request action from the court while the divorce action is pending. Check the laws of the state where the divorce was filed to determine what kinds of relief might be available while the divorce is pending. You might be able to ask the court to allow discovery of information, dismiss all or part of an action, or freeze marital assets.